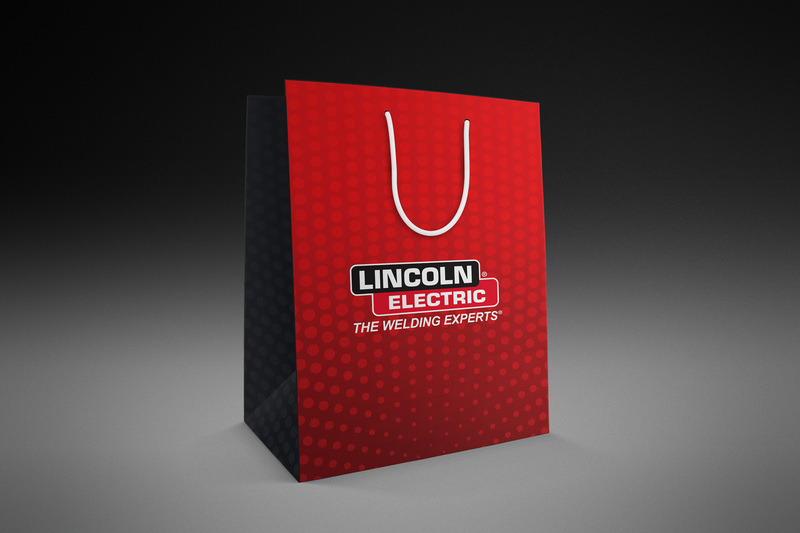 Lincoln Electric entertains potential customers, investors, trainees and visitors on a daily basis. They wanted to develop a suite of materials to provide to visitors that would contain area maps, publications, Cleveland tourism info, and take-away gifts. 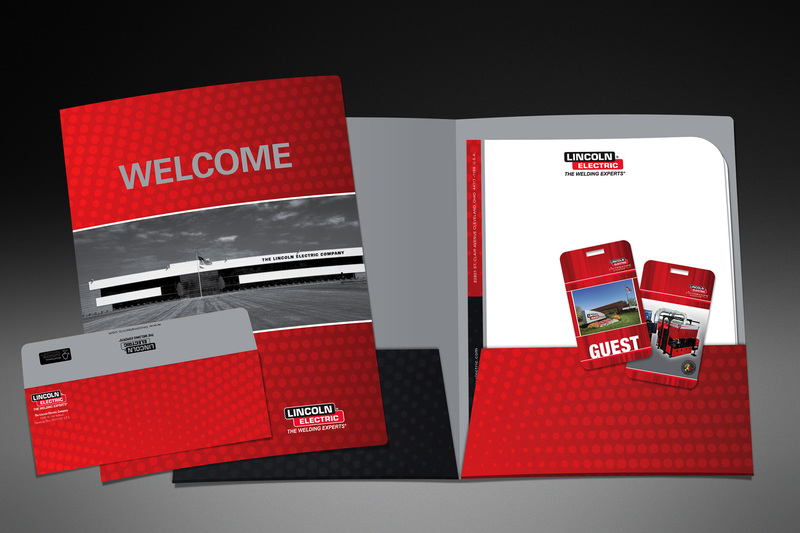 Stylistically, the materials had to be consistent with the Lincoln corporate branding, but have a flair of its own. We developed a pocket folder with enough capacity to easily house multiple pages of information and a gift style tote bag to house gift items. In addition, we designed stylistically complementary follow up correspondence materials such as stationary, thank you notes and envelopes to communicate with their guests post-visit. To carry the theme even further, the halftone dot pattern we chose as a unifying design element was used as the wallpaper pattern on the visitor cafe wall.